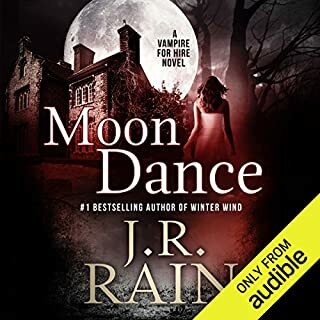 When Dekker Knight and his mercenary crew are hired to ferry an alien diplomat to one of Jupiter's moons, they think they've taken a cakewalk mission. They even allow an old friend to tag along. While things appear odd on Io, things are far worse than they realize: Terrorist activities threaten to fracture the tectonic plates and destroy everything on the surface - and the Dozen are stuck without access to their ship! 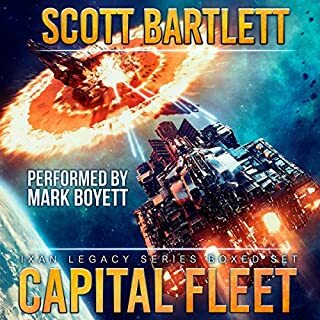 Following the Intergalactic Singularity War, Dekker Knight, mercenary and collector of arcane artifacts, works for the highest bidder - but he doesn't take just any job. One in particular, transporting Austicon - the assassin who stalked his family for generations - to a max-lock detention, was supposed to close a dark chapter in Dekker's life. 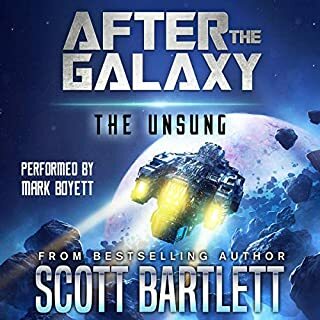 After Earth's constables botch Austicon's incarceration, Dekker's team is forced to hunt down the galaxies' most heinous criminal all over again when a mysterious man claiming to be an ancient, time-traveling prophet intrudes on them. 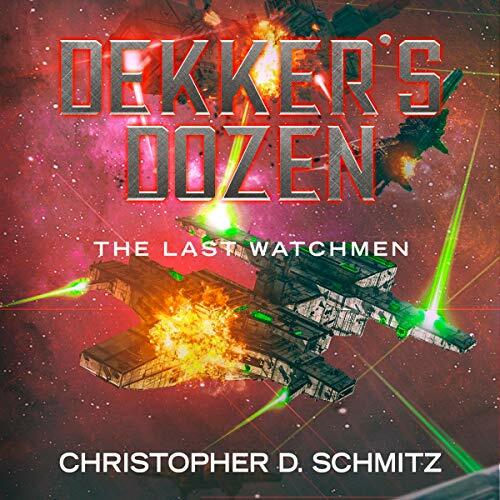 Ezekiel claims Dekker will soon annihilate of all reality - and he knows all of Dekker's secrets: that he wields an ancient, celestial weapon, was once married to a terrorist, and is the last member of the Watchmen - an ancient secret society with roots tracing back to Solomon. 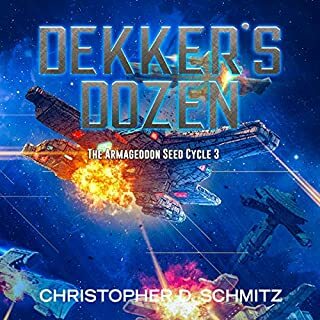 Following Austicon's theft of a superweapon, Dekker and his team must do the unthinkable to prevent the Earth's annihilation. Worse yet, a demon-possessed tree is attempting to bring "the divine engines of reality" to a grinding halt, destroying all of existence with the death of the planet, annihilating all that is, will be, and ever was! 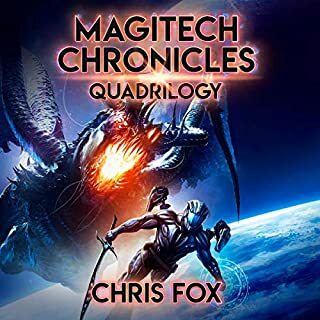 Steampunk time-travel, cyborg ninjas, deep space unicorn zombies, ghostly rocket-ships, and star destroying Hassidic superweapons converge in one epic story! 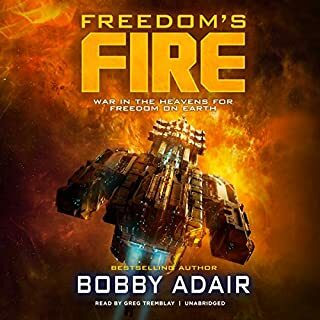 How long can The Dozen escape death, and how far can Dekker go to in defiance of fate and pursuit of love before his actions break the universe?